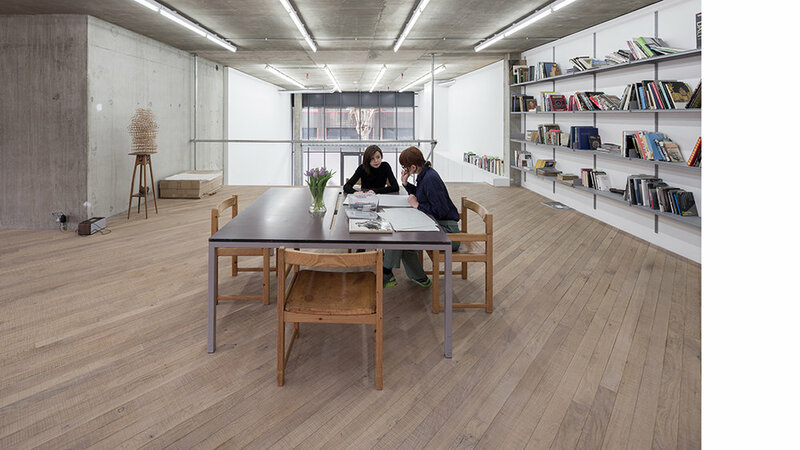 Program: Artist studio; Client: Withheld; Location: London; Status: Planning granted 2016; Images: Matheson Whiteley. Program: Galleries and museums; Client: Foxy Production; Location: New York City, NY; Status: Completed 2016; Images: © Petra Cortright. Courtesy: Foxy Production, New York. Photo: Mark Woods. 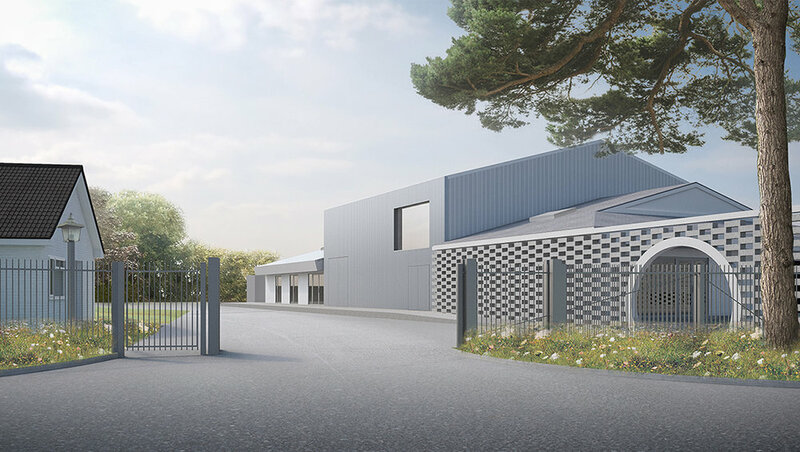 Program: Artist studios; Client: Ryan Gander; Location: Suffolk, UK; Status: Planning 2016, Phase 1 completed 2017; Images: Matheson Whiteley, Maris Mezulis. 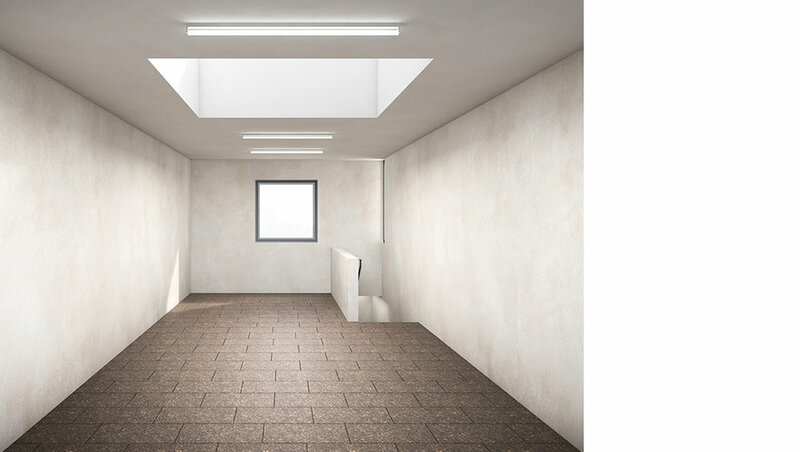 This project adapts an existing two storey commercial building in Bethnal Green to create three new studios for a contemporary artist. The flag-shaped back lot site lies among a number of Victorian-era warehouses, storage and light-industrial buildings, immediately adjacent to the Lea Valley railway line. A new rooftop extension contains a specialist photography studio and establishes an elevated datum among the existing rooftops, level with the train track opposite. This provides unexpected views of the tracks and the day-to-day passage of trains through a large, body-scaled occulus. The extension is formed from a lightweight timber structure clad in vertical zinc sheets. These are site welded and ground back to create a continuous metal wrapping. The studio roof pitches to incorporate north-facing glazing, providing even daylight for photography. The light can be further modulated by black-out and glare blinds along with a flexible overhead rig. 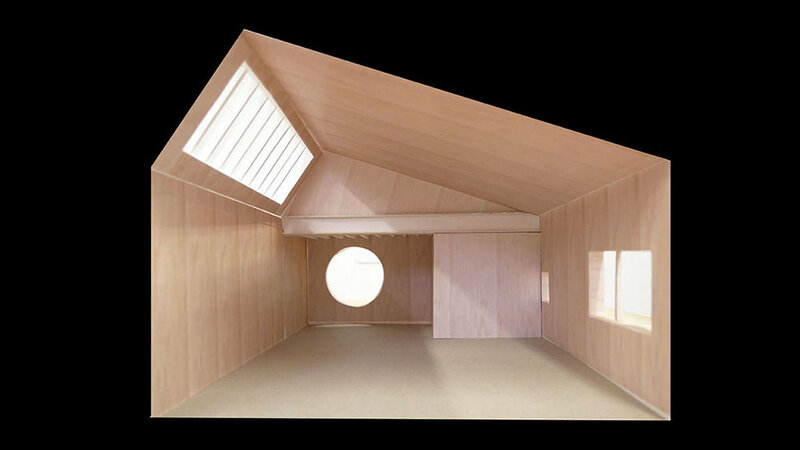 All but invisible from the street, the extension forms a distinct impression when viewed from passing trains, taking its place among the small-scale, figurative buildings scattered along Britains’ railways. 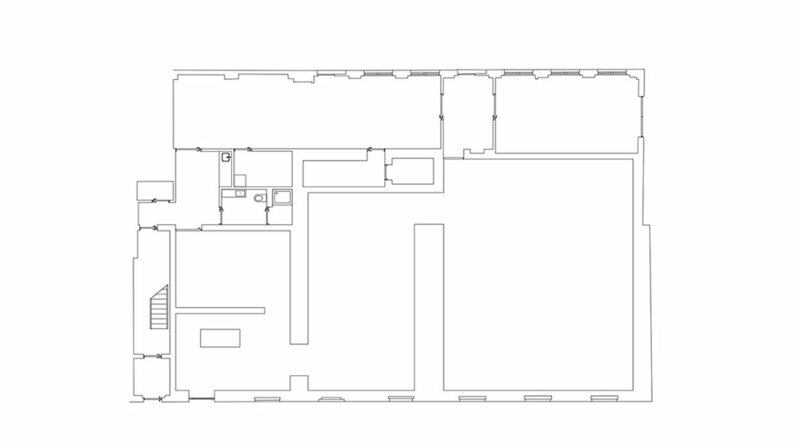 Mackintosh Studios adapts a typical mixed-use ground floor commercial space to create three artist studios. 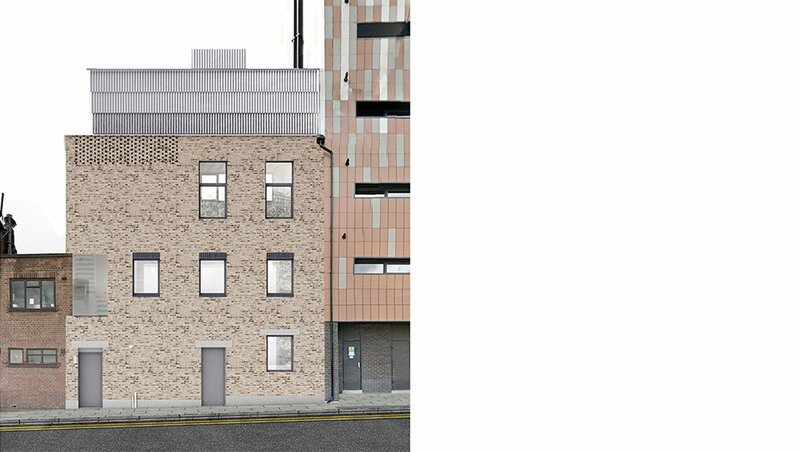 The original ten-storey building is located on a complex site adjacent to a train station and at the end of a narrow industrial mews. It was completed in the early 2000s, but the large ground floor commercial space was never let due to poor foot traffic. A group of artists formed a consortium to acquire this empty space, attracted by its obvious qualities: the vast interior, good daylight and generous floor to ceiling heights. New party walls were introduced to subdivide the space, along with a complex system of temporary propping which supported the apartments overhead. Existing concrete structural mezzanine floors were cut back to form double-height spaces. Through careful dialogue, each studio developed a specific layout, language and character, which reflect the working methods and personalities of the individual artists. Particular attention was given to integrating the existing network of building services, giving them a retroactive logic within the new design. The final materials and finishes work to establish a sense of integrity in relation to the original space, maintaining an ambiguity about what was original and what is new. Beyond its immediate value to the artists, the project has a prototypical quality. The loss of space for artists and designers due to gentrification is a particularly acute problem in East London. By successfully delivering high quality artist studios within a typical commercial development, Mackintosh Studios argues that this loss is neither inevitable, nor a necessary by-product of gentrification. Rather, it suggests that – given a different set of design criteria – standard approaches to financing, procurement and construction could be used to support a much broader and more nuanced range of activities. 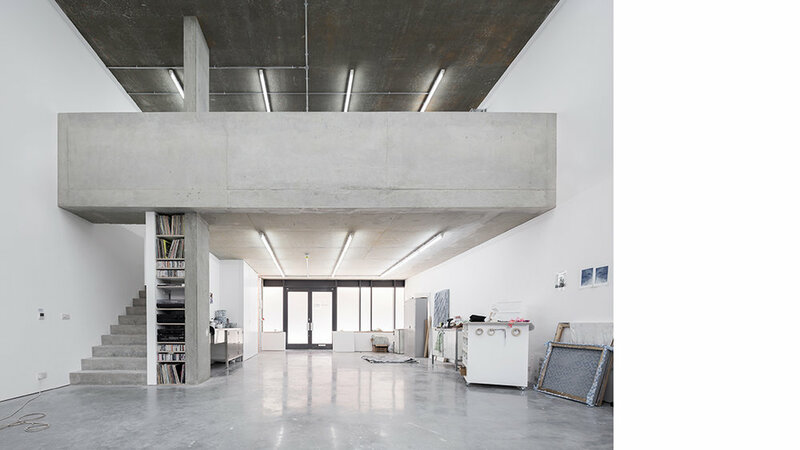 Program: Artist studios; Client: David Noonan, Michael Raedecker, Goshka Macuga; Location: Homerton, London; Status: Completed 2016; Photography: Maris Mezulis. This contemporary art gallery for Stuart Shave/Modern Art lies opposite Sir Nicholas Hawksmoor’s St Luke’s Old Street church (1733) and forms a component of the St Luke’s Conservation Area. The site originally contained three dilapidated commercial buildings from the mid-1940s. These featured extensive north-facing roof lights and inherently well-proportioned spaces, albeit hidden behind years of ad hoc adaptation. 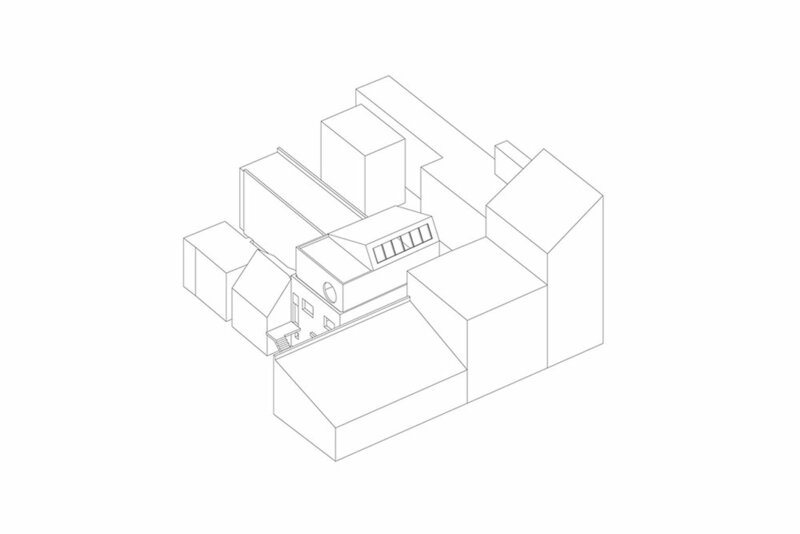 The project draws the three existing structures together, forming an appropriate context for the church, while reusing qualities of the existing buildings for the display of contemporary art. The principal elevation consists of a three-metre glazed entry door and six blind steel-framed windows. The proportion and rhythm of the new windows is adapted from the original pattern of openings along the facade and modestly reflects the cast iron windows of St Luke’s opposite. Existing brickwork and lintels have been repaired where necessary and some recent openings in the facade closed-in. The ambition of Stuart Shave/Modern Art is to form a new architectural identity that contributes positively to the St Luke’s Conservation Area setting. It is neither explicitly modern nor overly beholden to the past, but rather coaxes unused spaces back into public life, while retaining a memory of their previous functions. Program: Galleries and musuems; Client: Modern Art / Stuart Shave; Location: London, United Kingdom; Status: Completed 2014; Photography: Maris Mezulis.